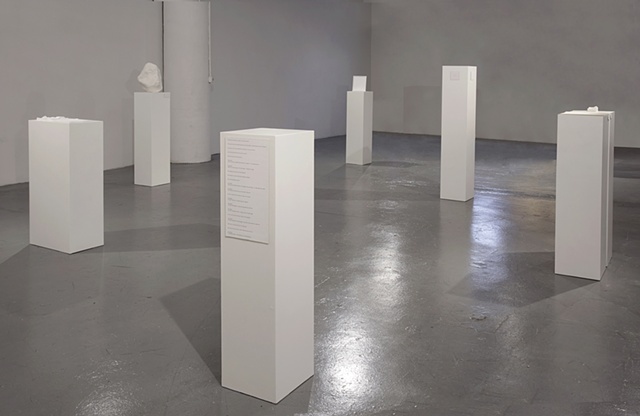 This arrangement consists of 7 pedestals, each of which has at least one text label on it. The texts tell stories, give instructions, are poetic, but never act as proper labels. Some pedestals have objects on them, some have images, and some have nothing.